A 40-40-20 blend of Refosco dal Peduncolo Rosso, Refosco di Faedis and Pignolo grown on the hillslopes of Colli Orientali del Friuli. The ripe grapes are picked in trays and placed in drying rooms to concentrate their aroma compounds and flavours. Next, they are destemmed and macerated on the skins for about three weeks in temperature-controlled automatic fermentation tanks. 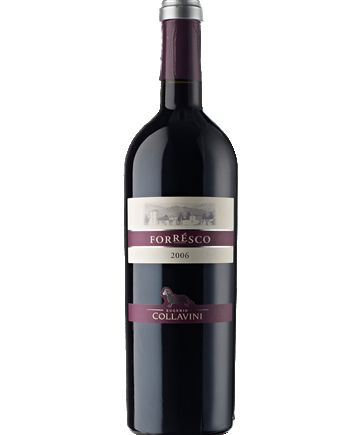 From the following spring, Forresco stays for 24 months in Allier and Tronçais oak barriques before maturing in bottle for a further 24 months. Deep, strong, ruby-red, almost impenetrable. The nose discloses an absolute complexity, with precise and intense hints of currant, wild blackberry and plum. The smell power extends involving the palate with a series of balsamic and spicy sensations of a rare complexity. The gently strong tannins close with a never-ending aftertaste.